Solidarity knows no borders! 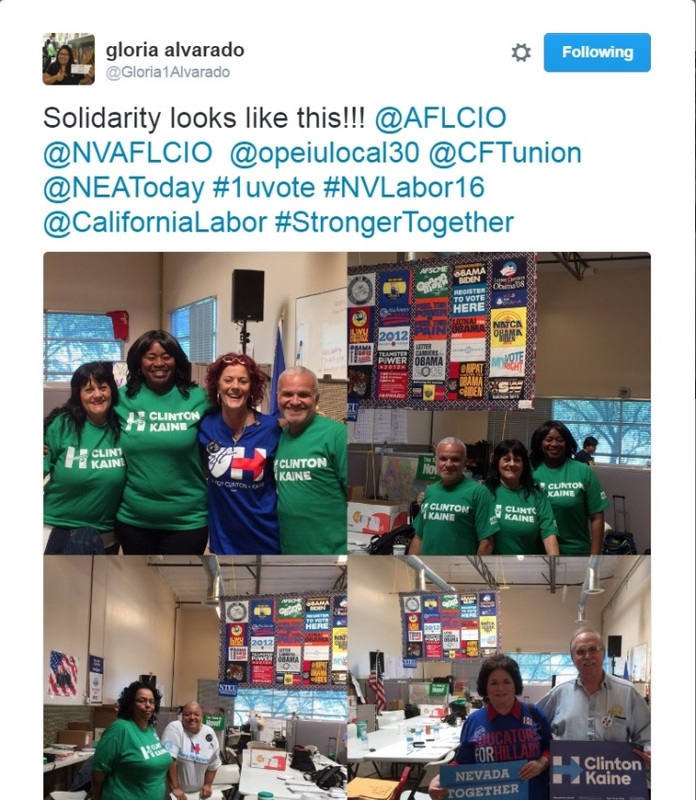 To date, over 2,000 California union members have volunteered to turnout the vote for Election 2016 in our neighboring “Battle Born” state, Nevada – and the number will keep keeps climbing through Election Day. From the presidential election down to local ballot measures and candidates, union members are committed to winning for working people across the country. While this is true in every election, the stakes are undeniably high in 2016. Defeating anti-worker Donald Trump, securing senate victories so we can finally get down to the essential business of nominating a justice to the Supreme Court, and electing local and statewide candidates who will go to bat for working people are all incredibly important for the future of our labor movement and for our nation. Nevada is not only a key presidential battleground, but could also determine which party controls the Senate. Polling out of Nevada has consistently shown tight races to elect labor endorsed candidates Hillary Clinton for President and Nevada Attorney General Catherine Cortez-Masto for Senate. 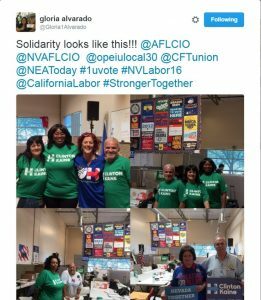 With our high density of union members in CA always ready to make history, galvanizing volunteers to head to Nevada was a no-brainer. And while these races are still too close to call, returns from early voting are showing union boots on the ground are having a major impact in Nevada. Stay tuned for the final tally in Nevada! Not able to head to Nevada this weekend and next week for GOTV? There are plenty of volunteer opportunities right here in California. Find one near you!